I volunteered to do image work for the Goodstock 2007 festival. 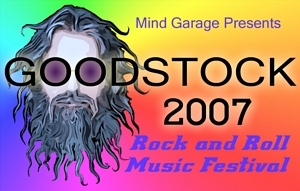 I spent hundreds of hours to create a variety of promotional images, animated gifs, tickets, banners, flyers, stickers etc for Goodstock 2007. Larry McClurg sent me his pencil drawing of the basic poster idea and it went forward from there. 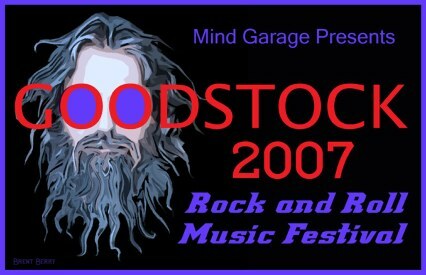 These are some of the surviving image variations I did for the Goodstock 2007 rock 'n roll festival.